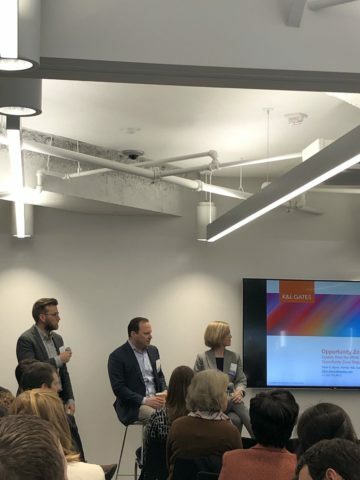 On March 26, 2019, a sold-out crowd gathered at ULI’s headquarters to attend a panel discussion on Opportunity Zones entitled “Opportunity Zones: Closing Deals and Measuring Impact.” Panelists Timothy Trifilo, Emeka Moneme, Jill Homan, Will Lambe, and moderator Olivia Byrne lead an insightful discussion on the still-evolving tax-benefit program. 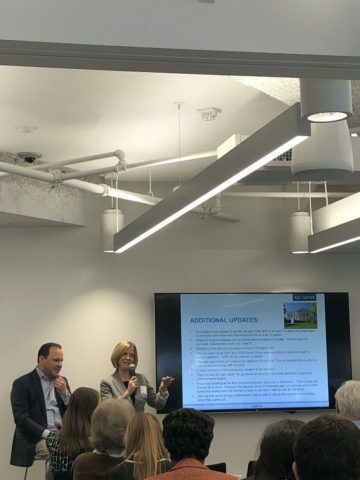 Olivia Byrne began the event with an update from the White House summarizing the New Opportunity Zone regulations. The update centered on how Opportunity Zones can be paired with other incentives like New Markets Tax Credits and Low-Income Housing Tax Credits. Jill Homan suggested that developers and investors should always be mindful of their exit strategy and that Opportunity Zone funds are not meant to make others infeasible projects attainable. With the current uncertainty of future regulations, some trailblazers are already working on Opportunity Zone deals while others are waiting on the sideline for the final regulations. Tim Trifolo explained that the most equity to date is being used on projects that would otherwise have happened, such as downtown waterfronts. Will discussed his experience with tax credits and opportunity zones. He spoke to the idea of a New Market Tax Credit deal and how one could also get an opportunity zone investment into the project as well by setting up a condo structure between the two investment structures separately on the same deal to alleviate the separate timing issues between New Market Tax Credits and Opportunity Zone Funds. 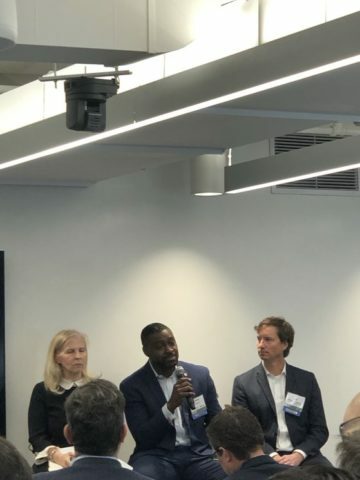 Although the discussion focused on the Greater DC area, some audience questions prompted a discussion about how smaller markets can best attract Opportunity Zones projects. The panel suggested that secondary and tertiary markets offer a huge opportunity but jurisdictions must market themselves by identifying assets to attract developers and investors. Jurisdictions should consider hiring experts to market their community’s upside to outsiders. Maryland, Erie Pennsylvania, and Prince George County were highlighted as interesting case studies for jurisdictions marketing Opportunity Zones. Emeka emphasized that not all opportunity zones are created equal, and that opportunity zones were hand picked by governors. He stressed the importance of studying the neighborhoods and census tracts and where the trends are given the timing of the opportunity zone program. The panel suggested that Opportunity Zones are not a wholesale solution to the affordable housing crisis but predicted that Opportunity Zones will be the robust and lasting real estate regulation. Finally, the panel ended with taking insightful questions from the audience. The panel touched on many important topics related to implementing the opportunity zone program, and reiterated that the program is evolving and expect to receive more guidance from the IRS and Treasury as the program continues.